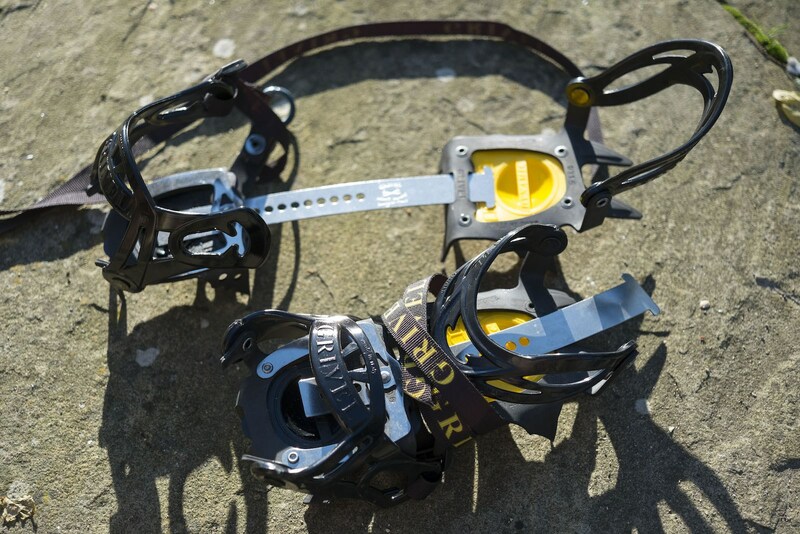 These are some of the lightest full-service, steel crampons designed to stand up to the rigours of general mountaineering. But are they any good? My history of crampon use is fairly typical for a British mountaineer. I started off with Grivel G10s before soon graduating to traditional, heavy, twelve-point crampons. But in 2015 I started to lighten up my kit, and I made some decisions that resulted in shaving several hundred grams from the weight of my winter hardware. 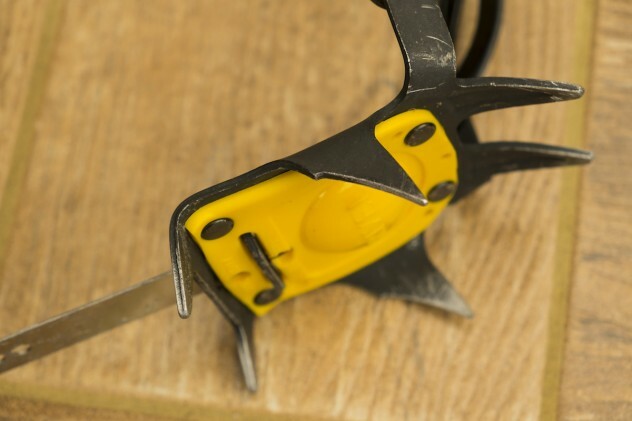 In this article from October 2015 I outlined my decision-making process and explained how I came to choose the Grivel G1 crampons. This model is Grivel’s simplest, lightest all-steel crampon. At only 760g you get crampons with ten sharp, full-size steel points, including real front points. The highly flexible regulation bar makes it possible to use them with virtually any kind of footwear, and they have antibotts built in to stop soft snow building up between the points. The New Classic binding makes it possible to fit the crampons to boots without a heel welt – including hiking boots not officially rated as crampon compatible. The main compromise with this design is that the sole has less ‘coverage’ from the points due to the much smaller front plate. There is a gap in the middle without any spikes. However, this shouldn’t be a concern with proper technique. 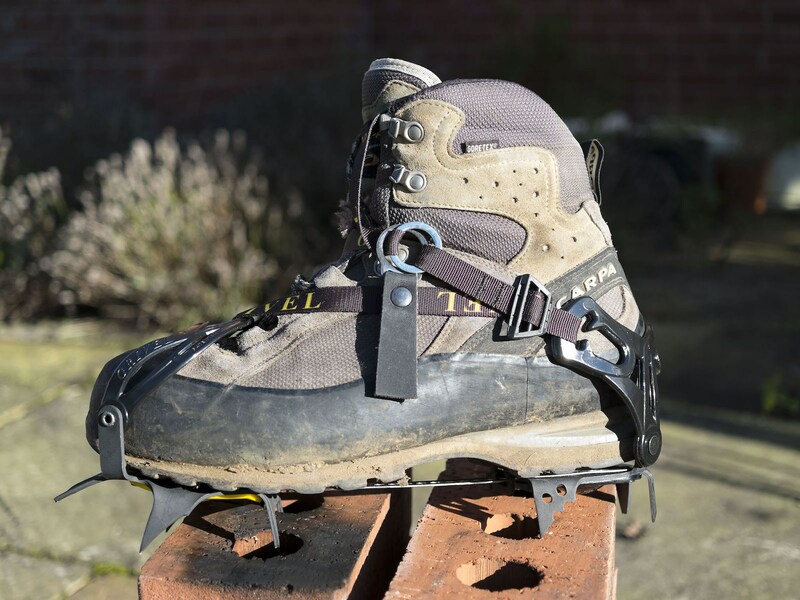 Another area where both cost and weight have been saved is the antibott, which is permanently attached to each crampon. 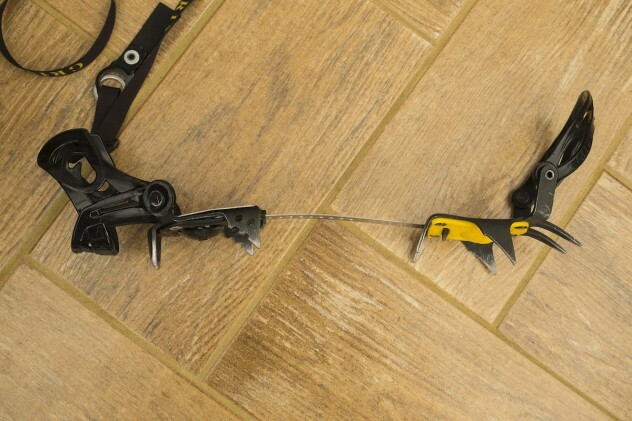 In the past, most Grivel crampons have had detachable and replaceable anti-balling plates. Although I’ve never had an antibott break or wear out, it’s worth bearing in mind that antibotts are not user-replaceable on the G1 crampons. Climbers who prefer to use their crampons without anti-balling plates may want to look elsewhere. I have now used the crampons on two different outings. In February I did a circular backpacking route in the Ossian area, taking in two different Munros before spending a night at the Alder Cottage bothy and returning along a soggy and thawing glen. Conditions were fine and cold the first day; despite plenty of fresh powder snow, the descent from Carn Dearg required care, with icy névé lurking beneath the drifts. I got out the ice axe and strapped on the G1 crampons for the descent, and kept them on for the climb up to the second Munro. First impressions during this short test were entirely favourable. 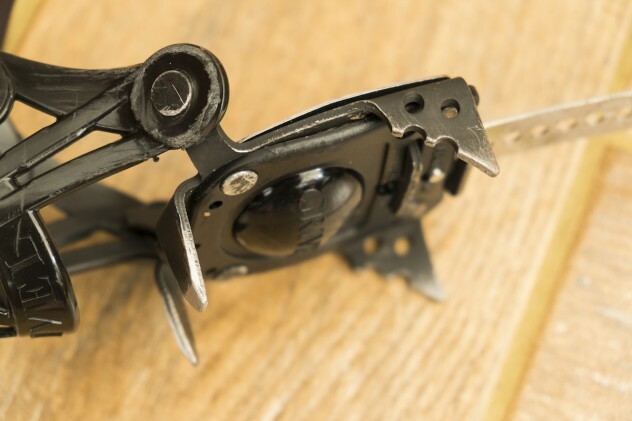 The crampons were as quick and easy to attach as any other Grivel New Classic crampons, and they bit into the steep, hard snow extremely well – surprisingly so, actually, given the fact that these are ten-point crampons, not twelve-pointers. I didn’t use any advanced techniques such as front-pointing, but things were looking good. And when I’d finished using them the low weight in my pack was certainly appreciated. I got the opportunity to use the G1 crampons far more extensively in March 2016, when I completed a winter Lochaber Traverse. Conditions were fine and warm, but overnight frosts firmed up the snow and, overall, I ended up wearing crampons for about 50% of the ridge. They were mission-critical perhaps 20% of the time, which on a route of this length is not insignificant. The terrain underfoot was far more challenging than it had been on my Ossian trip. I encountered narrow snow arêtes requiring precise footwork, steep Grade I faces with sustained front-pointing and French technique, and a great deal of scrambly mixed ground where the crampons came into contact with rock as much as they did snow or ice. This level of ‘general mountaineering’ terrain is the classical forte of the ten-pointer and twelve-pointer crampon. I paired the G1s with Scarpa Cristallo GTX mountaineering boots, rated B1. On steep snow, these crampons performed extremely well. Although the points are not as long as those found on the G12, at no point did I feel insecure due to a lack of coverage underfoot. I’d initially been concerned that the gap between front and rear plates would be an issue, but I didn’t notice this lack of coverage in practice. I think the relatively aggressive points (compared to those found on the G10 and Monte Rosa) really helped in this regard. The heel plate is exactly the same as the heel plate in the G10 and G12, which adds security when descending. The front points are not as long or sharp as those found in the G12, but they’re the same as the G10 and Monte Rosa’s front points – more than sufficient for moderate front-pointing on snow. I wouldn’t want to use them on steep ice, but that’s really beyond the job description for these crampons. Things weren’t quite so positive when it came to using the crampons on rock (something all climbers will need to do from time to time). Although the G1 is as good as any other ten-point crampon when it comes to mixed scrambling or rock climbing, I found them awkward to use on flatter, bouldery terrain. It’s all too easy to land on a rock with the extension bar instead of a part of the crampon with spike coverage, and overall I had to place my boots more carefully than I would if I’d been wearing other crampons. In fact, I managed to bend both extension bars due to accidentally stepping on rocks incorrectly. While it’s arguable that crampons are for snow and ice, not rock, all climbers will find themselves rock-hopping between icy stretches now and again – especially in Scotland or the Alps. You really have to treat the G1 with a little more care when doing this or there is a risk of permanently damaging the regulation bars (easily replaced by the user, fortunately). What about durability? Craftsmanship appears to be up to Grivel’s usual standards, but overall I think the G1 will prove to be slightly less durable than the G10 or Monte Rosa. As mentioned before, the antibotts are not user-replaceable, and the sharper points will wear down more quickly. There’s also the increased risk of damaging the regulation bars (although these are in practice fairly tough). It’s early days yet, but my hunch is that these crampons might not last quite as long as the G10 or Monte Rosa. Crampons are always a compromise, aren’t they? If you find a pair with the features you need for the kind of climbing you want to do, they’re probably too heavy; and if you find ones that don’t offend your lightweight sensibilities, they probably don’t climb as well, or they’ll wear out more quickly (aluminium crampons, I’m looking at you). I think the G1 is an attempt to find the best possible compromise for the general low-grade mountaineer, and in the main it does a pretty good job. The price is also unbeatable; they are cheaper than both the G10 and Monte Rosa. The crampons climb well, and they’re built to a high quality standard. They’re probably the lightest crampons you can buy with as few compromises as possible – you still get ten steel points, real front points, antibotts and a flex regulation bar, but they weigh well under 800g. You can get aluminium crampons that weigh far less, but durability and climbing ability will be severely compromised. The G1 aims to be the lightest possible all-rounder, capable of winter hillwalking, backpacking, or semi-technical general mountaineering up to Scottish Grade II or III. I’d quite happily use them on any kind of terrain not involving vertical ice or highly technical mixed climbing. These days, as a backpacker more than a climber, they can probably climb harder than I can. There are still some compromises in the G1’s design, but I think they’re acceptable for this class of crampon. Durability is possibly slightly lower than other steel ten-pointers, and they’re a little less capable on awkward, rocky ground. All other compromises – for example, reduced capability on steep ice – are inherent to pretty much all ten-point crampons, and if you need something to get you up frozen waterfalls then you should be looking at a more technical model. The Grivel G1 is not easy to get hold of in the UK, and you’re unlikely to be able to walk into your local gear shop and find them on the shelf. I ordered mine from Bergfreunde. Disclaimer: I purchased these crampons with my own funds and have no relationship with Grivel.